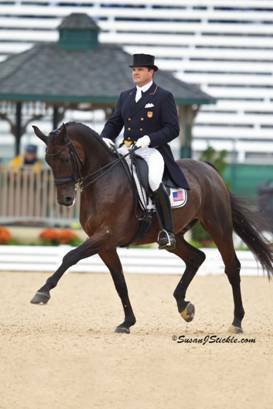 While in Europe training with Olympic Medalist Hubertus Schmidt, Endel received a call to be the rider and trainer of the top horses of Lamplight Equestrian Center. He and the horses moved to Florida to start training and competitions. The moved straight to Legacy Farms (www.legacyfarms.com) to work with world renowned trainer Lars Petersen. 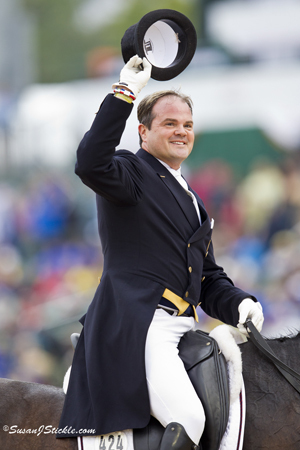 Lars Petersen has represented Denmark international at the pinnacle of competitive dressage for more than 10 years, including at the Olympic Games, three World Equestrian games, two World Cup Finals, and three Continental Championships. He was also named Danish National Champion five times. Kristin Cooper of Lamplight Equestrian Center chose Endel to be the rider of Toscano, and to work for qualifying for the Pan American Games. Together with Lars’ help they are looking forward to a successful season.